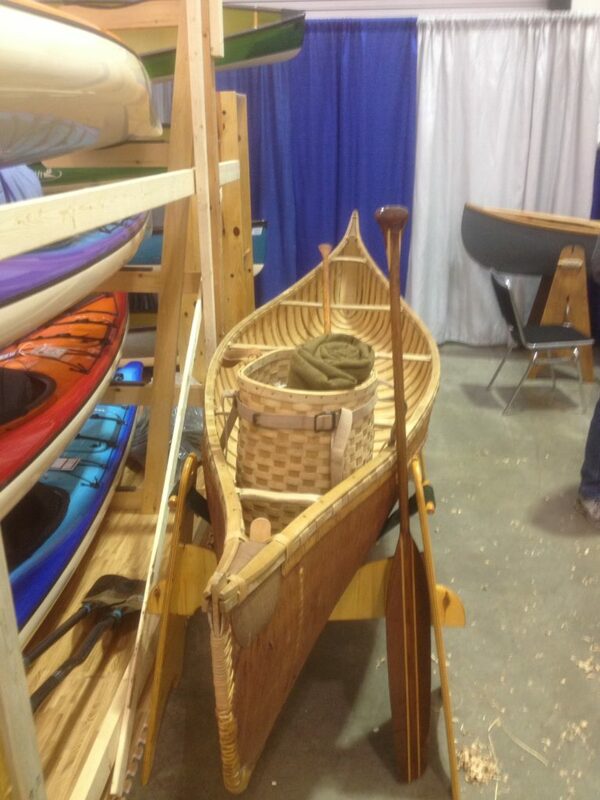 CANOECOPIA 2017 ~ Featuring Guests Lonnie Bedwell and Jim Coffey. | DBP MAGAZINE ONLINE The World's Best Free Whitewater Publication. March in the Upper Midwest means Old Man Winter is due to depart, taking with him the ice and leaving his snow to melt into the ever increasing flow of our little known but much loved whitewater rivers. 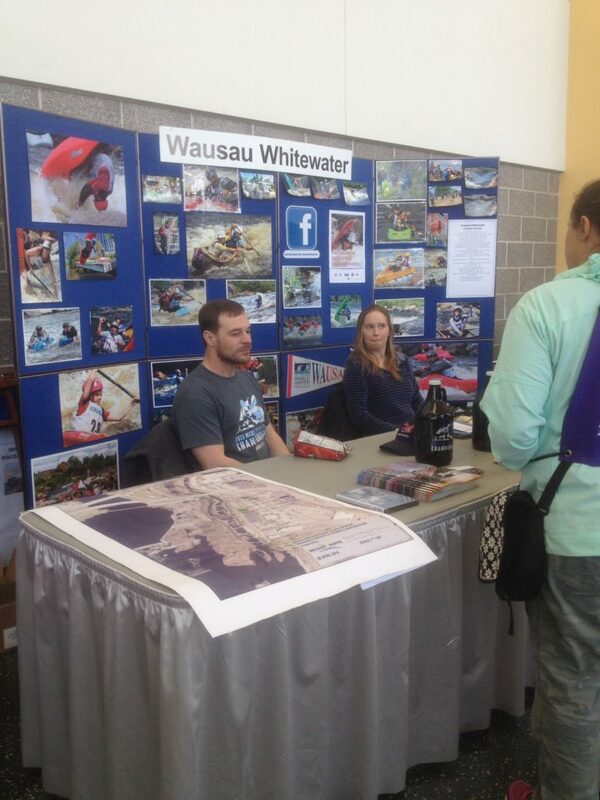 It’s also when the Wisconsin and Illinois boating community looks forward to Rutabaga Paddlesports’ annual Canoecopia, billed as the “World’s largest paddlesports expo.” Held in Madison, WI on March 10-12, this year featured over 250 exhibitors and 150 speakers and presenters. It’s a time for old friends to reunite after the long winter hiatus from boating, dream up excursions, and luxuriate in a dirtbag’s favorite non-paddling pastime: gear fondling. Did I also mention spending the winter savings account? 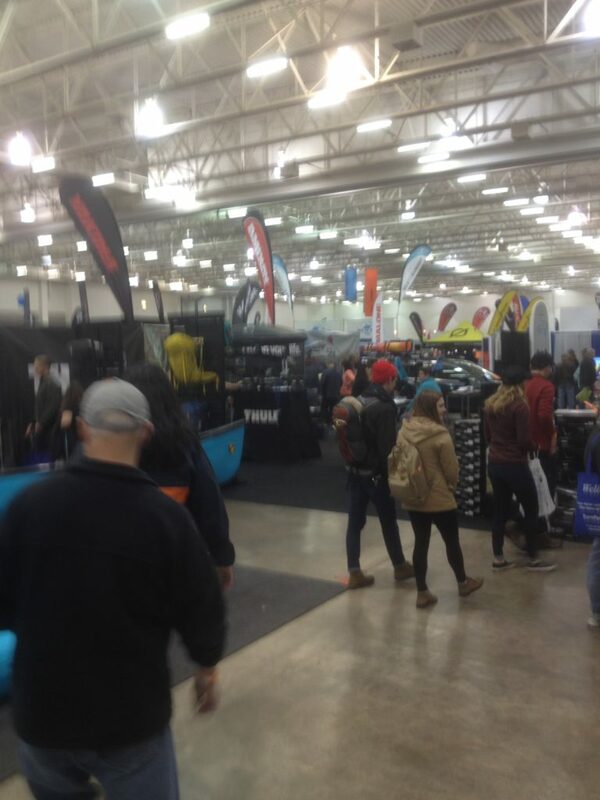 I’ve been coming to Canoecopia for ten years now, and boating in the local scene for fifteen, so I love attending. There’s so many friendly faces around, people I’ve known for years and new folks that I’m glad to meet. 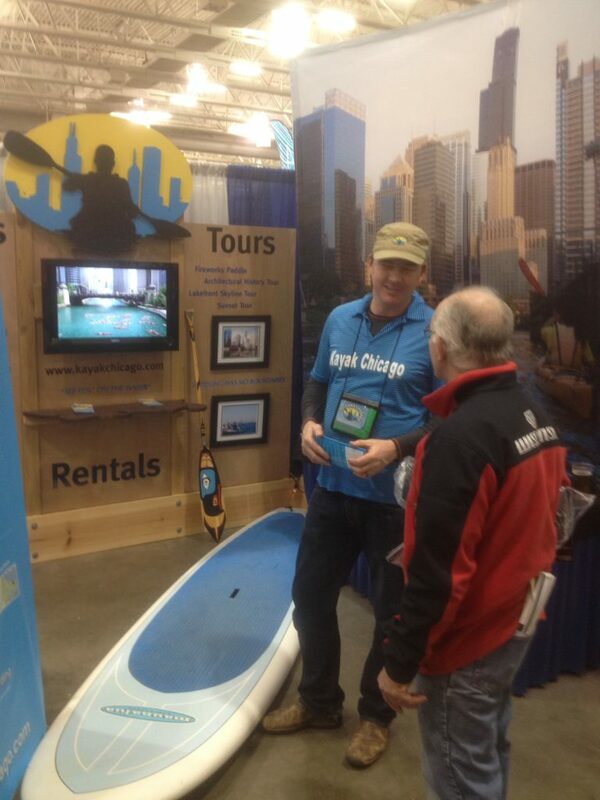 We all share the passion for paddling! There’s typically a few DBP Admins kicking around to socialize with as well, and this year was no different. 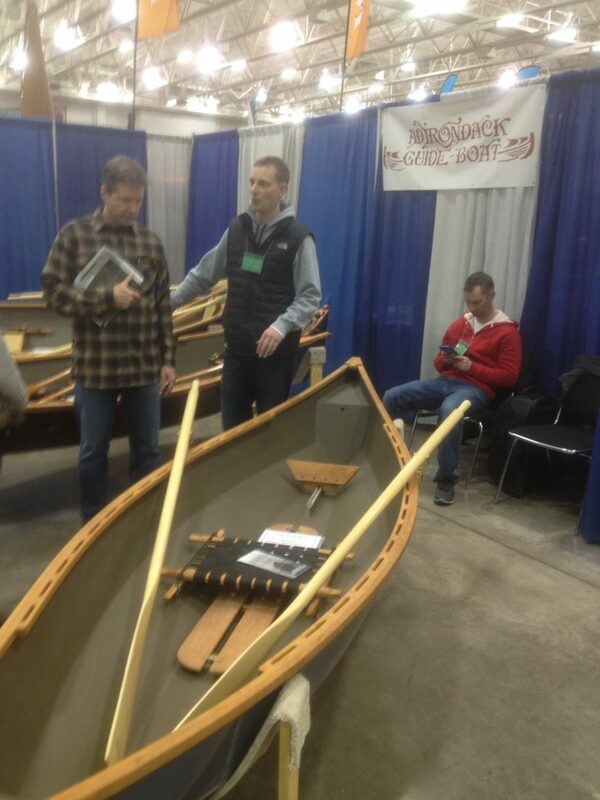 In attendance was Brian Kretschmer of Kayak Chicago, who’s been attending Canoecopia as long as I have, Dan Bowers who is now on the staff of Rutabaga (excellent hire! ), and the old school master himself, Rick Klade. This is the third year that I’ve covered Canoecopia for DBP MAGAZINE ONLINE .COM so after writing about the fun to be had in the expo showroom surrounded by boats and boaters twice, I deemed it was time for a new angle… I thought back on what it is I loved about Canoecopia back when I first started attending. Sure, the gear was great. 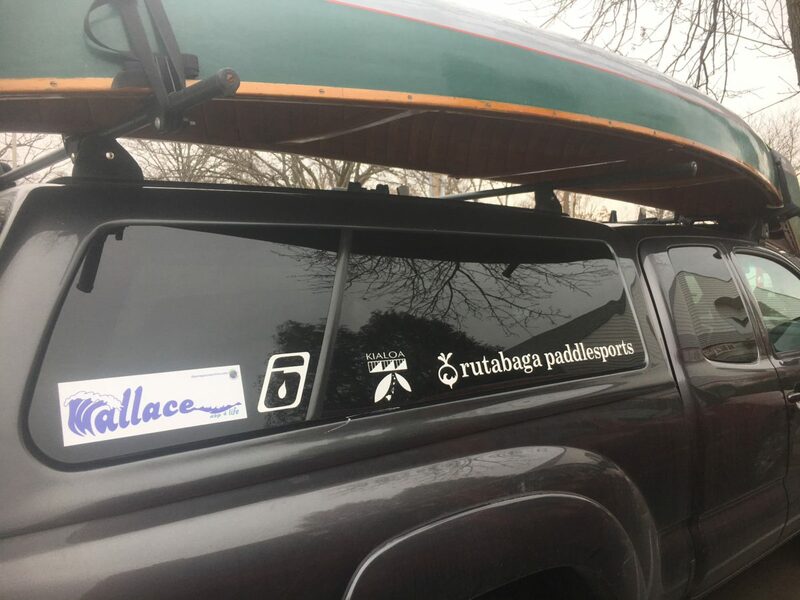 (Especially for a new paddler like I had been who was slowly but surely collecting all the necessary bits and pieces for a lifetime to be spent sending whitewater in a traditionally underserved market – THANK YOU FOR EXISTING RUTABAGA!) But what I really got into back in the day, and had somehow gotten away from without really thinking about it, was the presentations! That would be my angle this year! 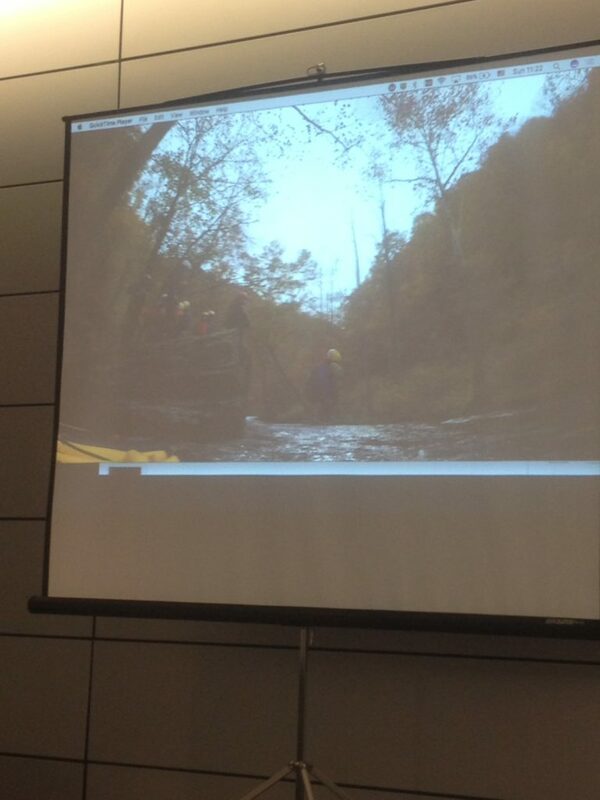 Jim Coffey’s talk was an instant choice for me, being about whitewater. I’m familiar with Jim’s exploits as a top canoeist who has run some of the biggest waterfalls in an open boat on record, in the world of river rescue training, as well as his career as a longtime raft guide for the world famous outfitters Esprit on the mighty Ottawa River in Canada. 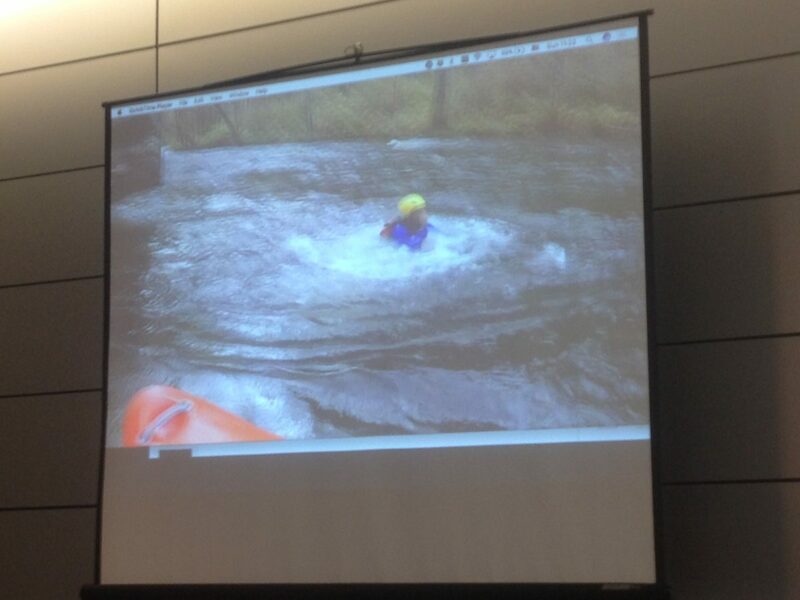 He had an entertaining video playing as people walked in early Sunday morning to hear Jim speak, and one the screen I saw a few familiar faces playing on the Nantahala River that immediately brought a smile to my face. 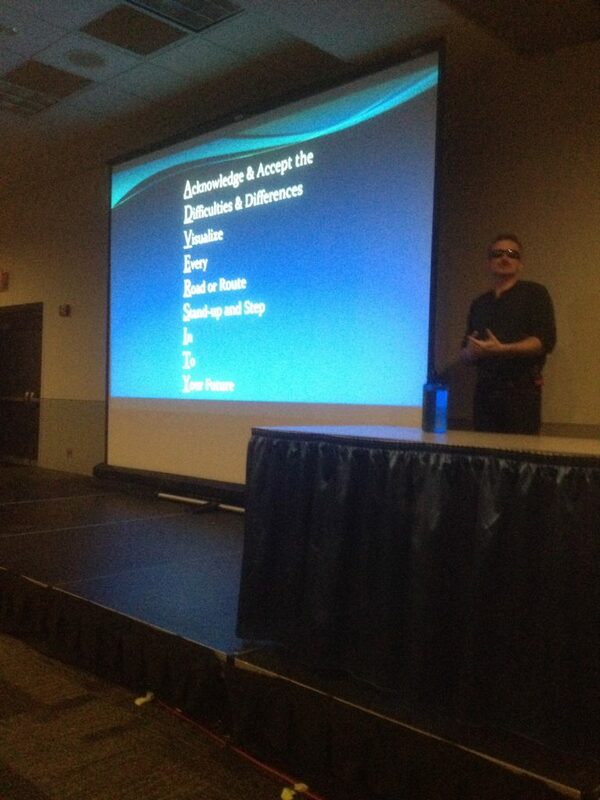 Used to giving technical talks, this day Jim spoke directly from the heart. Engaging and funny, with a district Canadian accent, he worked the intimate setting, introducing us to his wife Barbara and young son Taïgan who were in attendance. You see, Jim’s son is on the autistic spectrum, and so he and Barbara and their friends have started a magnificent project called Whitewater Healing. Started two years ago, their mission is to bring young people and their families together for therapeutic adventures on rivers around the world. Jim told the very personal story of how his small family came to find out their son was autistic, and was very frank in describing the challenges and the small victories they’ve endured and celebrated along the way. Whitewater Healing now offers trips in Canada, the US, Mexico, and Costa Rica, and is looking to grow to other locations around the world. (Jim is actively seeking to train new members of the staff to expand the program, if you are interested…) Trips are typically one third clients on the autistic spectrum, one third family members, and one third staff, giving families the chance to get outside and experience adventure together. Some folks don’t do that very often, get out in public, because it is too much strain on their children to deal with the sights and sounds of everyday life. But the river has a calming effect on them. People on the autistic spectrum experience moving water in a special way, and once Jim and Barbara saw how soothing it was for Tagan, they knew they had to share this gift with the rest of the world. Jim Coffey ended with an impassioned appeal to us in the audience, asking anyone interested in the mission of Whitewater Healing reach out and join his non-profit program. I must say he inspired me. I’m interested in seeing how our DBP clan can spread the word and get outposts set up world wide. We hope to start with Kosir’s Rapid Rafts right here in Wisconsin, where I served as River Manager for many years, by sending DBP’s very own Dale #danewho Guarniere north of the border to the Ottawa River for the proper training to utilize his many years of raft guiding and kayaking skills to help the Midwestern autistic community. 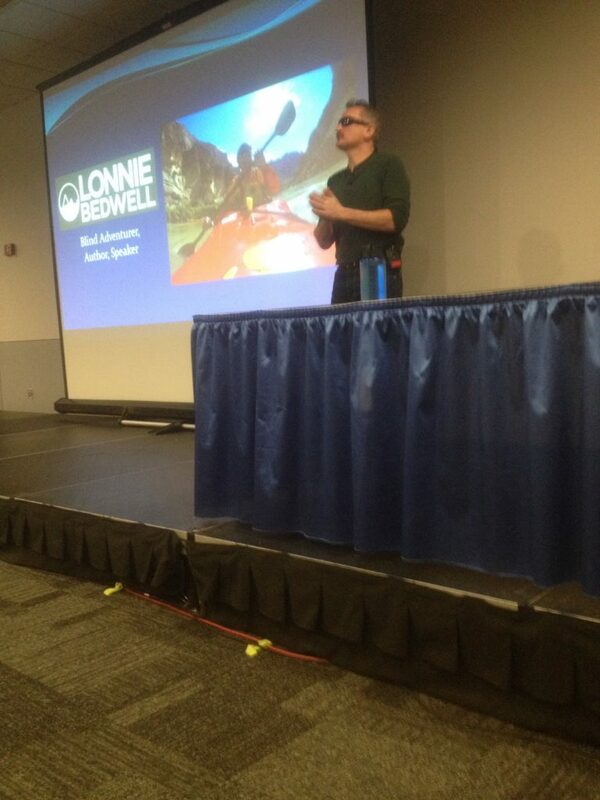 Thoroughly inspired, I made my way back downstairs to see the next speaker on my list, Lonnie Bedwell. The presentation room was packed when I entered, but there was seating up front. 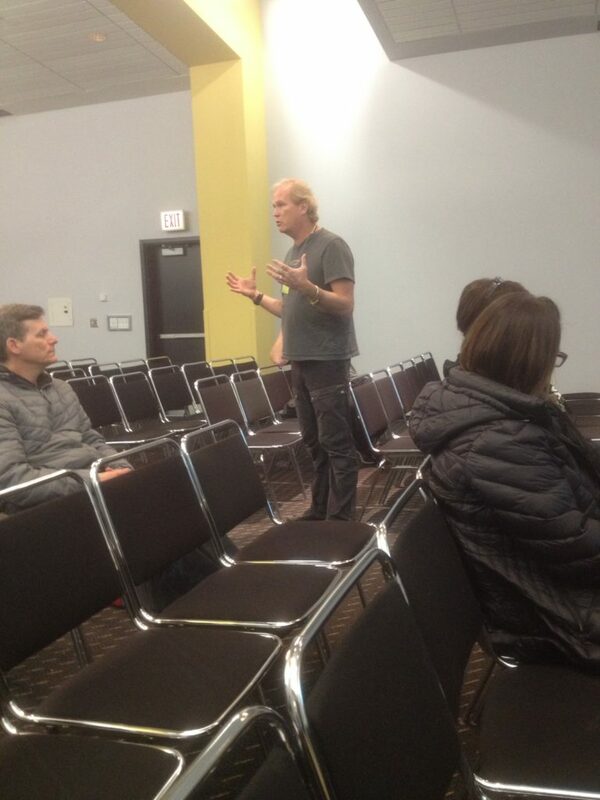 As I made my way to the front row, I saw DBP Admin Brian Kretschmer, a kayak guide from Kayak Chicago, enter the room too. He’s a behemoth, hard to miss in a crowd, working the KC booth at Canoecopia after paddling the green dyed Chicago River the day before in a St. Patrick’s Day tradition for the crew. (They got out again this year despite 20-something degree temperatures over the weekend!) After a warm reunion we sat down together to take in the presentation. Lonnie recounted with extraordinary passion his journey into the world of whitewater paddling, beginning with his first trip on the Yellowstone River in Montana. On his fifth day ever paddling, Lonnie sent Class III Yankee Jim Canyon, using the same techniques of having a sight paddler give him directions “On Me! Hard Left! Hard Right! Stop!! CHARGE! !” that would eventually get him onto the big stuff. After that first trip, Team River Runner Executive Director Joe Mornini threw Lonnie the bone that he never thought at the time Lonnie would ever grasp… Joe told him that if he mastered 1,000 rolls in his kayak, he’d get Lonnie on the Grand Canyon of the Colorado River. It was just the sort of challenge that the blind Navy vet needed to push himself. Lonnie practiced daily on the pond in his backyard in Indiana, and scored descents of the Pigeon River and the Nantahala River, honing and growing his skills. Finally, irresistibly, Lonnie earned the privilege of running the ultimate whitewater river in North America on a Team River Runner excursion. He would be the first ever blind man to paddle the Grand Canyon. Lonnie enthralled us with his vivid tale of the journey. Perhaps because he has lost his sight, his detailed descriptions, aided by a first rate slideshow of shots taken of the adventure that we but not he could enjoy, drew in our collective minds’ eyes a wonderful picture of what he experienced first hand in a way that most speakers could never do. He told of his first big water roll, successfully executed in House Rock Rapid; the group decision to let him paddle Hance Rapid “because we could…”; his first Wallace at Upset Rapid; the skirt implosion in the biggest rapid on the river – Lava – that caused his boat to literally go flying through the air! Lonnie choked up recounting how he cruised the last four miles with an American flag flying from his kayak, paddling with other post-9/11 vets. He then candidly said he ran it again the next year, all 226 miles, with fellow blind boater Erik Weihenmayer, to prove it wasn’t a fluke. This time Lonnie ran the river without a single swim! His biggest challenge was hearing the river at night at camp, trying to get rest in his humble bedroll while hearing and feeling the power of the river awaiting him. 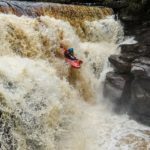 This amazing story led directly into the next – Lonnie’s descent of the mighty Zambezi River in Africa, one of the most majestic, powerful whitewater rivers in the world. Invited to paddle with legendary kayakers Steve Fisher and Eric Jackson, “two of the best,” as Lonnie said to a roomful of laughter, “or so they claimed to be, I’d never seen em kayak!”, he knew this was an even bigger challenge but he was game. Lonnie paddled Rapids #1-3, but sat above #4, taking in the roar… He considered not running it, but decided to send it. He got sucked back into the monster hole, flipped upside down, and pinned to the canyon wall… But through pure determination and grit he got through. 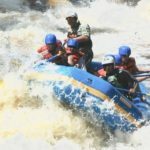 The Zambezi was his greatest whitewater challenge thus far, with complex moves, seldom calm, plenty of choices, with the constant question hanging overhead – what is around the bend? Lonnie couldn’t quit once committed; there was always the dread of getting stuck in an eddy or being swept downstream… But with fantastic support, the team broke the river down piece by piece. At one point Lonnie took the wrong line, but his natural whitewater instincts kicked in, and as the video on the big screen showed, he executed a perfect boof stroke off a huge pourover rock in the middle of the river! His telling of the adventure was nearly as thrilling to us in the audience as it must have been in real life living it! 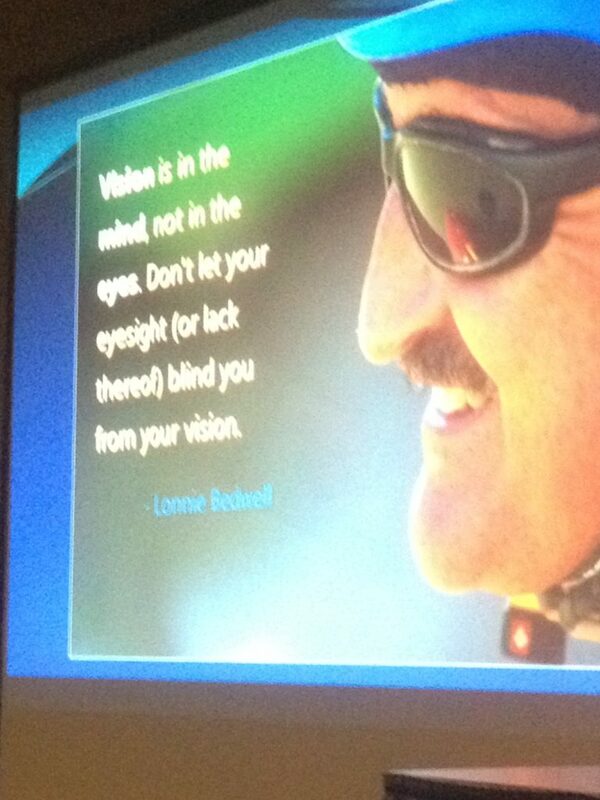 Lonnie Bedwell is an amazing, inspiring man!! Lonnie left us inspired, deeply moved by his humility, humanity, and funny depreciating jokes. He left us with these words: “Think outside the box, and realize what you can do.” I bought a copy of his autobiography, and got an autograph. At sometime in the near future we will make this available in a contest… Stay tuned! 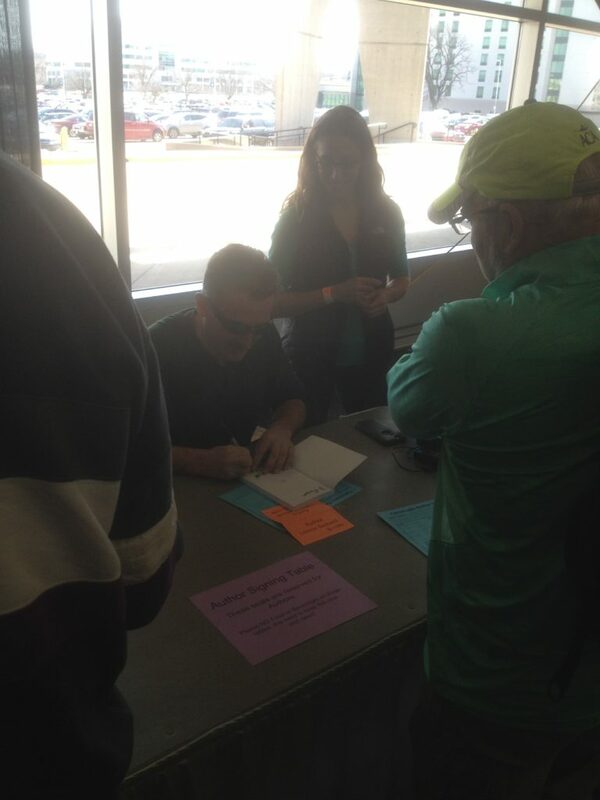 And if you have the chance to meet Mr. Bedwell or catch his life story in person… do NOT pass up the opportunity! 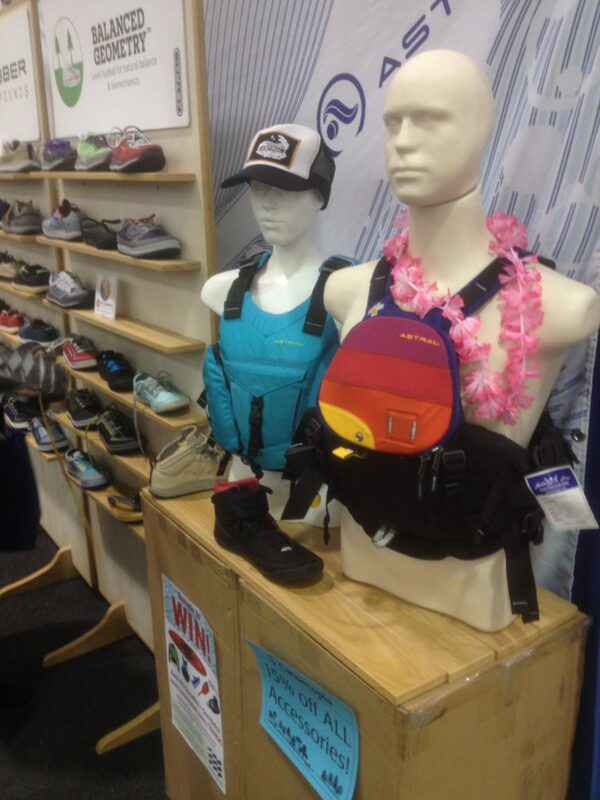 I spent the rest of the day walking around Canoecopia taking in all the new gear and getting new gear for the coming season. DBP Admin Rick Klade and I hung out with friends like kayaker Chris Keller, planning the spring and getting ready for what will surely be an awesome year here in the Midwest! Admin Dan Bowers took some Wallace bumper stickers to Darren Bush; I wish I could’ve met the iconic owner of Rutabaga, but frankly I was too busy having fun! and enjoying the fruits of his many years of labor, in putting together yet another amazing collection of everything paddling for our small yet vibrant community. Thanks for all you do!! NOW LETS GO BOATING!! Thank you thank you thank you. You captured Canoecopia better than anyone else has in years, Mike. The guys from the big publications focus on the facts; how big, how many, etc. 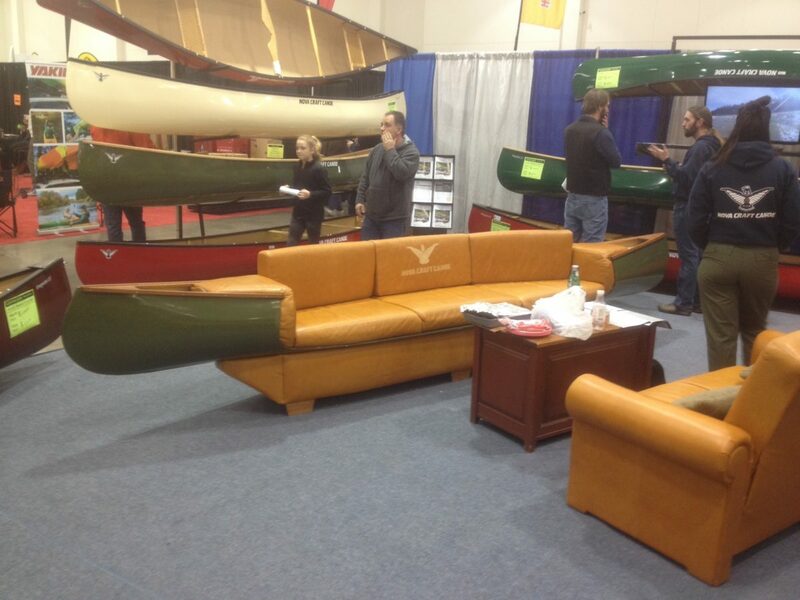 You focused on the Soul of Canoecopia, and you totally get it. If someone doesn’t choke me up at least three or four times a day with their stories, it’s not Canoecopia. 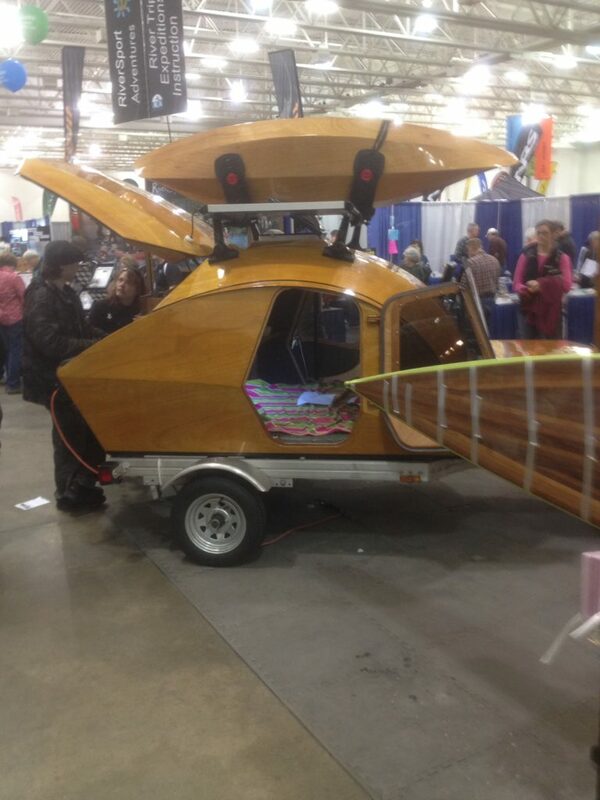 I met a couple to whom I sold their first sea kayaks in 1995. 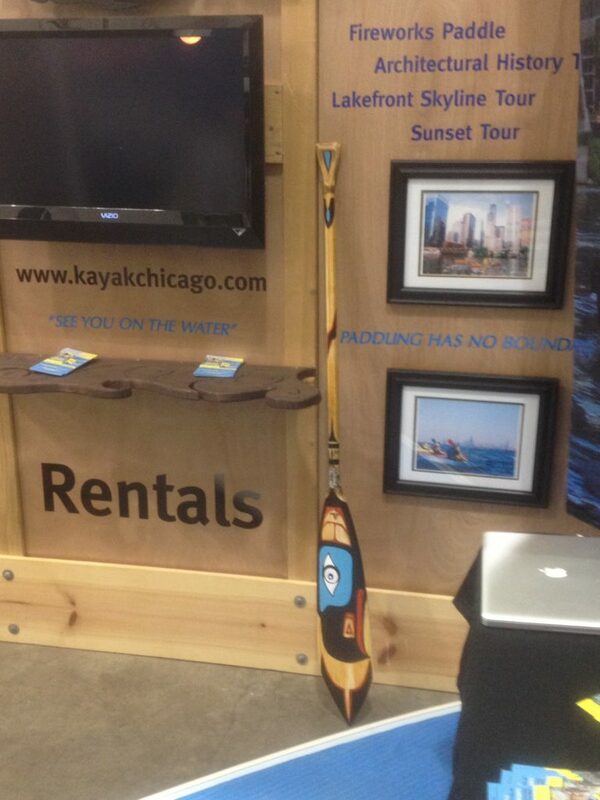 They’ve paddled all over the world. They say I changed their lives forever; I say they changed mine. I don’t sleep in the back of my truck anymore, having graduated to the DBP penthouse (as sweet teardrop camper), but I’m still one of you at heart.